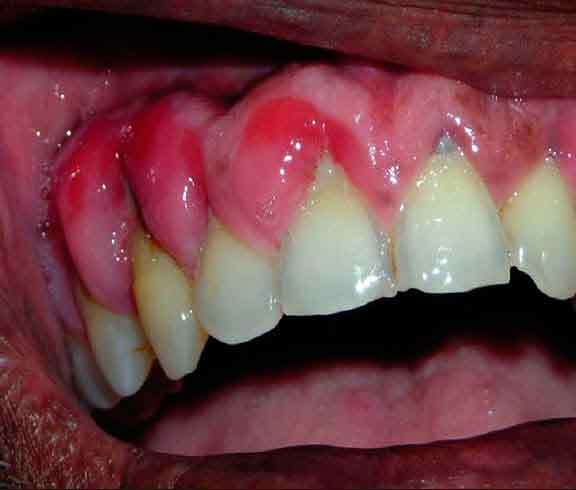 Many oral lesions have been associated with HIV infection with the most notable being candidiasis (erythematous, pseudomembranous), hairy leukoplakia, Kaposi’s sarcoma, non-Hodgkin’s lymphoma, and periodontal disease (linear gingival erythema, necrotizing ulcerative periodontitis). Hairy leukoplakia and oral candidiasis have been demonstrated to be positive predictors of HIV disease progression. However, while it is generally agreed HIV-associated oral lesions are useful markers of HIV disease, their true prevalence is unknown. Improved pharmacological strategies, specifically highly active antiretroviral therapy (HAART), appear to modulate the prevalence of HIV-associated oral lesions. HAART also dramatically improves laboratory profiles (increased CD4 counts, decreased viral load). In a study of 577 HIV infected adults, HAART therapy was associated with a decreased prevalence of hairy leukoplakia and necrotizing periodontal disease and an increased prevalence of salivary gland disease. In the same study the effect of HAART on the prevalence of oral candidiasis, aphthous ulcers, oral warts, herpes simplex virus lesions, and Kaposi’s sarcoma was not significant. In a study of 459 HIV-positive children in Brazil, the prevalence of hairy leukoplakia was significantly lower for those undergoing HAART compared to other antiviral regimens. It has been postulated the seemingly paradoxical persistence and at times worsening of HIV-associated lesions is due to the phenomena of immune reconstitution disease.